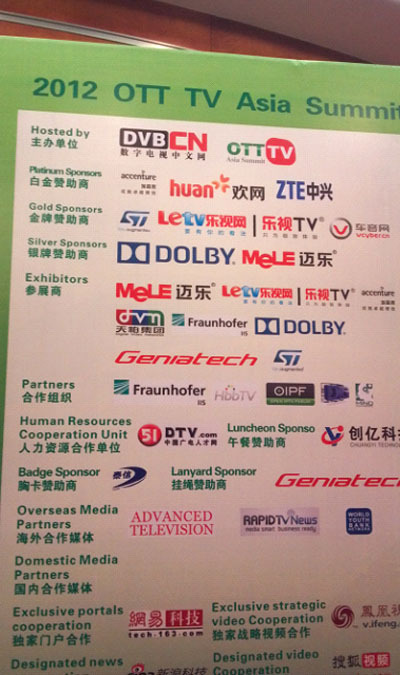 This year OTT TV Asia Summit host at Shanghai from Nov. 15th ~ 16th ,2012. Mele Digital brings their newest Living Room PC to attend this famous Summit. 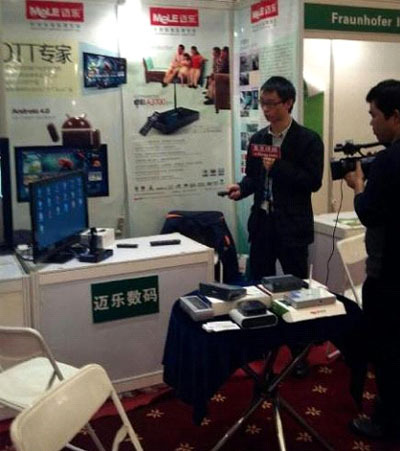 As one of the Silver Sponsor and exhibitor of this year OTT TV Summit, Mele Digital brings their newest internet movie box, which is also known as Living Room PC A200 to this Summit, this product uses a high performance low power consumption Cortex A8 chipset, because of the low power consumption design, it has a low dissipate heat, greatly increase the stability of the system. Living Room PC A200 now support Android 4.0 system, preload with Wasu TV, Voole TV and other video streaming apk for television, so user easily watch high definition video channels out of the box. Mele Digital also announce their own user friendly GUI, this user interface combines watching video, shopping, gaming and online chatting together and are well organized to let user easily control with normal remote controller. This product also support 2.4G wireless air mouse device, wireless mouse and other USB external devices. During the live demo on the summit, Mele Digital A200’s stylish and cool appearance wins audience favorite. Journalist from Phoenix Video comes to Mele’s Booth to experience the fun of using Mele Digital A200 device.